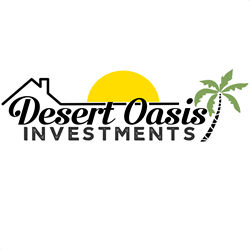 Desert Oasis Investments offers solutions to the foreclosure crisis of New Mexico. Allen and his wife Mandy offer hope to the community. If you question why we buy houses, or know someone who is on the brink of foreclosure please have them contact us! New Mexico foreclosure rates for 2017 are 1 in every 1674. San Juan County foreclosure rate is 1 in every 3283. Foreclosures as a whole in New Mexico have been trending down slightly since May 2017 which was the worst month of the year. With this foreclosure rate, many Farmington and San Juan County residents have been forced to give up their dreams of owning or staying in their current home. With mortgage rates rising and the lack of oil field work in the San Juan Basin foreclosure rates are not seeing much change. With many New Mexico realtors looking for profit there are few worrying about New Mexico residents’ financial stability. When there is a lack of work in the San Juan Basin combined with mortgage rate climbing income to debt ratios are not changing. This is a serious matter for the low to middle income ratios in New Mexico. “At a time like this, New Mexico residents need financial stability above all,” says Allen Campbell, a real estate investor and market pro. Allen and his wife Mandy at Allen Buys Houses for Cash are working every day to relieve the stress that comes with a high debt to income ratio and homeownership. Allen and Mandy are working hard to help the residents of New Mexico particularly in Farmington and the San Juan County area avoid pre foreclosure or foreclosure filing. They purchase unwanted or damaged homes as well and homes where the owner may be “upside down” on the mortgage and inching toward foreclosure. If you find yourself in this situation, they will create an offer to sell the house for cash. Allen and Mandy also offer a unique benefit in which they will give a cash offer for the home. In order to avoid foreclosure. stay in the home, a rental agreement can be made. This way one will not have to pack or move anything. This means our client will not have to find a new place to live, but instead stay in their current home and continue to live free from the stress of impending foreclosure. This additionally allows residents to keep their belongings and memories alive in their current home. As real estate and financial experts continually try and fail to predict the future of the market, large increases in loans and interest rates will continue. All the while real estate agents and bank owners will continually convince residents to buy outside their financial ability. With the ever shifting oil field job market in the San Juan basin financial stability can change unpredictably. However with the dishonesty in the real estate market Allen and Mandy at Allen Buys Houses for Cash promise to remain honest and vigilant to relieve the stress of New Mexico residents facing potential foreclosure. With new customer relationships and transactions happening daily they are helping multiple people avoid foreclosure and even bankruptcy. The most important part of this is that homeowners walk away with cash. As more and more customers are so thankful for the assistance that Allen and Mandy have provided, Allen says, “the best part about this job is helping residents take back control of their financial future and relieve the burden of foreclosure.” They pride themselves in helping New Mexico residents into a stress-free, fulfilled life.